A convivial meeting was had by all 28 people who attended this year’s dinner at the Northern Club in Auckland. The current officials were again voted in and life goes on perhaps with a more modern and catchy title. This recent Meta analysis has really put the cat amongst the pigeons with the poor authors being vilified and criticized. Whatever happened to scientific democracy where one can publish a paper and have it open to fair and objective criticism. This paper has attracted opprobrium form devotees and marketers of fish oils. The study was interesting in that the “SELECT” study was not designed to investigate the role of omega-3 fatty acid intake on prostate cancer. In contrast, it was designed to investigate the effects of selenium and vitamin E on prostate cancer prevention. The participants did not get their omega-3 from supplements but from their food supply. Perhaps the fish had high levels of contaminants, who knows? There is no data in the study on dietary intakes of fish oils or oily fish consumption, or to support ingestion of omega-3 supplements. Hence no firm conclusions can be drawn with regard to omega-3 fatty acid intake and prostate cancer risk. Regarding this new meta-analysis reported in the paper, it is not clear how the studies were selected and particularly whether this was based on a systematic review of the literature. The selection of studies reporting associations could be subject to publication bias. Other studies and meta-analyses have shown benefits of increased omega-3 fatty acid intake and reduced risk of prostate cancer. In America, the American Heart Association, the U.S. Institute of Medicine’s Food Nutrition Board (IOM FNB) and the 2010 Dietary Guidelines all have current policies advising Americans to eat more oily fish because of the beneficial effects of omega-3 fatty acids. It is with great sadness that I report the passing of one of the giants in the fish oil and omega-3 research arena. On July 16 Dr. Robert Ackman passed away in Canada. He was 85. Anyone involved in fish oil research, analysis and clinical work on omega-3 is aware of Bob’s path finding work in analysis and processing. He was a great plenary lecturer, a raconteur and a comedian at several of our international conferences and became a good friend after these events. No doubt his formal obituary will appear in JAOCS and I will reference this in future newsletters. I have always been fairly neutral about rice bran oil, as superficially it is basically another RBD oil alongside sunflower, canola and other fully refined vegetable and cereal oils. However that viewpoint was recently changed by an excellent review at the recent NZIFST conference by Geoff Webster of Hansells. He covered the chemical and physical properties of rice bran oil together with the properties of oryzanol which is a significant bioactive in the oil. This ingredient conveys remarkable stability on frying and cooking despite the polyunsaturated content of the oil. He covered the recent controlled clinical study which showed a definite serum cholesterol reduction in volunteers taking the oil (albeit a modest reduction). These contaminants are 3-monochloropropane-1, 2-diol (3- MCPD) esters and 2, 3-epoxy-1-propanol esters (glycidyl) esters. This is a growing issue for food manufacturers particularly those making infant formulae. In 2007 the oil producing industry and the downstream food processing industry were worried by the announcement that fatty acid esters of 3-MCPD and later in 2008 that glycidyl esters have been found in different types of vegetable oils after processing. The reason for the concern was that the German Federal Institute for Risk Assessment assumed in a first statement the complete degradation of the esters to free 3-MCPD and glycidol both classified by the International Agency for Research on Cancer (IARC) as possible and probably, respectively, carcinogenic to humans. In the meantime a lot of research has been done on these heat-induced compounds to mitigate their formation during oil processing and today the content in vegetable oils could be remarkably lower if all approaches were implemented. The lowest observed adverse effect level was estimated at 1.1 mg/kg body weight. The target for all edible oils is now being suggested at 1 ppm in the oil. A problem to date has been finding first a reliable analytical method (now done) and effective and economic analytical laboratories in Australasia. Reference AOCS/JOCS Official method Cd 28-10. Previously only carried out in Germany, there is now a qualified laboratory in Australia with contact details below. This is a very good concise document and is helpful for the discerning consumer. For quality guidance buy oils with the Olives NZ sticker of certification and also check imported Australian oils that comply with Oils (AS5264-2011) and/or the International Olive Council’s Trade Standard for Olive Oil. (Although the latter is very loose and poor quality oils can satisfy this standard). MOI International (Australia) Pty Ltd has paid two infringement notices totalling $20,400 for misleading claims made on the label of its products, following action by the Australian Competition and Consumer Commission. MOI International’s ‘Mediterranean Blend’ oil product was prominently labelled as ‘Extra Virgin Olive Oil’ and ‘100% Olive Oil’. 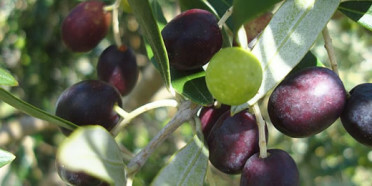 The ACCC considers that by using these descriptions, MOI International represented that the oil was completely or predominantly composed of extra virgin olive oil. MOI International imported the Mediterranean Blend oil from a related company in Malaysia and sold 3-Litre tins of the oil in 2012 and 2013. Fine print on the side of the container revealed that the composition of the oil was in fact 93 per cent canola oil and seven per cent extra virgin olive oil.